Omnia is a consortium of researchers with a shared interest in predictive biophysical simulation. John Chodera is an assistant professor in the Computational Biology Program at the Memorial Sloan-Kettering Cancer Center, and the lead developer of the YANK package for alchemical binding free energy calculations. Peter Eastman is the lead architect and principal developer of the OpenMM molecular dynamics suite, as well as the lead developer of PDBFixer. Justin MacCallum is an assistant professor in the Department of Chemistry at the University of Calgary. He is the lead developer of the MELD package for inferring protein structure from sparse and unreliable data. Robert McGibbon is a Senior Scientist at DE Shaw Research. Robert is the lead developer MDTraj, a co-principal developer of MSMBuilder, and a contributor to OpenMM. Levi Naden is a postdoc in the Chodera lab at MSKCC. 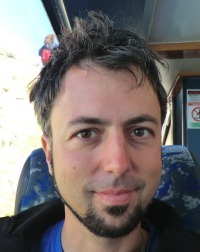 Levi is the lead developer of YANK and maintains the Omnia build system. Frank Noé is professor in the department for mathematics and computer science, with affiliations to physics and chemistry at Freie Universität Berlin (Germany), and one of the lead designers of the PyEMMA package for Estimation, Validation and Analysis of Markov models. Vijay Pande is professor of Chemistry, Structural Biology, Biophysics, and Computer Science at Stanford University. Vijay is the founder and director of Folding@Home, the world's largest distributed computing project. 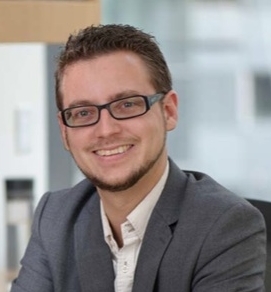 Martin is a PhD student in the Noé group at Freie Universität Berlin (Germany). Martin is the co-principal developer of PyEMMA and a contributor to msmtools.